Trenton Goble makes this argument in his new book Reclaiming the Classroom: How America’s Teachers Lost Control of Education and How They Can Get It Back. This book is clearly written by an educator for educators. Goble connects with the reader through sharing candid and powerful stories of his own time teaching and leading schools as a principal. 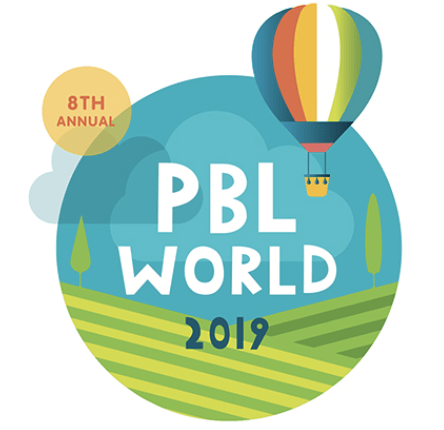 “If learning had been narrowed to how well my students performed on the math and language arts tests at the end of the year and the stakes were as high as they are today, I am not sure I would be willing to risk my future on project-based learning,” says Goble. Goble’s 20-year career as a teacher, principal, and district administrator coincided with standards-based education reform in America. States created standards and assessments in an attempt to drive academic improvement. In 2002, the federal government stepped in and unified this direction in a bill called No Child Left Behind. Even adherents to this change theory admit that the narrow focus on test-based accountability fell short of expectations and had serious unintended consequences. A brief history of US education helps the reader understand how we got to this point and how what seemed to be well intentioned policy and initiatives have removed trust and autonomy from our classrooms and teachers. In an effort to power the solution to test-based accountability, Goble co-founded MasteryConnect. Goble not only advocates for the improved role of a teacher, but has powerful thoughts on the role of principals and school administrators. He urges principals to be present, not just supportive, to create a culture of community and cooperation in a school. 1. Learning = Relationship. Teaching is an intimate act and requires a connection between two people. The people involved are a teacher and a student. There is one person: a student, who may or may not have any interest in actually learning anything. And there is another person: a teacher, whose job it is to get through and not only inspire that student to want to learn, but to figure out how that particular student learns and use that method, whatever it turns out to be, to help her learn what she needs to know. 2. Soul of America. You could say that America’s soul is in our classrooms every school day where the terms of our republic are put to the test—things like liberty, equality, economic opportunity—to see if we really mean what we said in the Constitution. Identify student levels of readiness and understanding. Target students for any needed intervention. 4. Teaching = Learning. I learned that becoming a good teacher is a process. Every day, we are given opportunities to try things that may or may not work, and over time, we become more attuned to what actually works. We begin to appreciate the unique needs of each individual student and learn to adjust our approach to meet those needs. Each new experience and challenge we face prepares us to become better teachers in the future. Eventually we realize that becoming a good teacher has less to do with how well we teach and more to do with how well we continue to learn. 5. Experts at Testing. Teachers are the best equipped to monitor complex human events that affect student learning. They are the best equipped to provide multiple measures of student learning throughout the year. They are the best equipped to provide alternate forms of measures that encourage students of any race or socioeconomic status to thrive. Teachers are the experts at testing. 6. Accountability Grab. This book is titled Reclaiming the Classroom because other forces have been reaching into America’s classrooms to dictate the terms of the relationship between the teacher and the student. Testing regimes and federal mandates have replaced teacher syllabi. An exclusive focus on math and language arts (the tested subjects) is eclipsing attention to science, social studies, history, music, and art. 7. Narrow Focus. This narrow focus fails to account for developmental and social and emotional and motivational reasons behind how a student learns. 8. Missed Opportunity. We missed an opportunity to reclaim our school and classrooms because we didn’t understand the true nature of expertise…we didn’t act like experts. Our fear of external accountability kept us from communicating our results in a way that would also communicate our expertise. 9. Collaborative Culture. Real change, change that lasts and makes a difference, depends on leaders who understand the importance of building a collaborative culture within their schools—a culture built on mutual respect and, most important, trust. In order for this to occur, teachers and staff must feel empowered to participate in the process and trust that their voices will be heard. 10. On Leadership. A leader who is present understands that educating children is a complex task that requires teachers who have autonomy, mastery, and purpose. A leader who is present understands that a number 2 pencil and a bubble sheet are tools that will fail to capture the learning that matters most. They don’t capture creativity, joy, or empathy for one another. They don’t capture the moment when a child finally understands a skill or concept that had previously eluded him. 11. Autonomy, Mastery, Purpose. The solutions to improving our schools will most likely not be found outside of our current system, they will be found from within.Teachers need the return of autonomy, mastery, and purpose so that they can effectively implement the Big Three. 12. Taking Ownership. There are three things we can implement right now to begin restoring this trust and balance: 1) we can own the results of all elements of the Big Three; 2) we can own conversations around true accountability; and 3) we can own the noise. 13. On Mastery-based Learning. I could honestly tell every parent who had a child in my school that we were providing daily targeted instruction that met the specific needs of their child regardless of reading levels. 14. On Accountability. It’s time to return to this new and improved original system of local accountability. I call it new and improved because we are now equipped to own these conversations in the light of trust or distrust. Teachers can now document, in real time, the progress students are making in their learning. Parents can access this documentation online. Principals, like teachers, can now document in real time the progress teachers are making in their teaching. Teachers can provide this documentation online. Districts can now document in real time the progress schools are making in their whole-school improvement of student outcomes. Principals can provide this documentation online. Districts can then better defend to state and federal government, and better explain to communities, their allocation of finances, time, and resources. They can better defend alternatives to the testing and growth measures that make up our current high-stakes, external accountability system. 15. To Politicians and Philanthropists. Each child needs teachers and principals who can meet his individual needs. But local control isn’t local if accountability is not. And as soon as a social process—any social process—becomes high stakes, it can no longer accurately measure what it was originally intended to measure. 16. To Technology and Content Providers. Teachers are essential… So while you’re out there helping to change the world, keep in mind who will have the most impact with the tools you create. 17. To the Unions. They need you to change your public image and, by default, help change theirs. They need you to advocate for their accountability. 18. To Principals and Administrators. Remember, mastery learning applies to everyone, not just students, and it relies on respect for others. As Goble states in the book, the most important work in education occurs in schools and, more specifically, in classrooms. It’s time for teachers to regain the autonomy, mastery, and purpose that made this profession so powerful. This book is a great step in that direction and offers concrete next steps and solutions for educators and school leaders. Reclaiming the Classroom can be purchased on Amazon.